Official Self Homepage at Sun. They maintain the SPARC and Power-PC port of Self. There is also a project page on freshmeat . 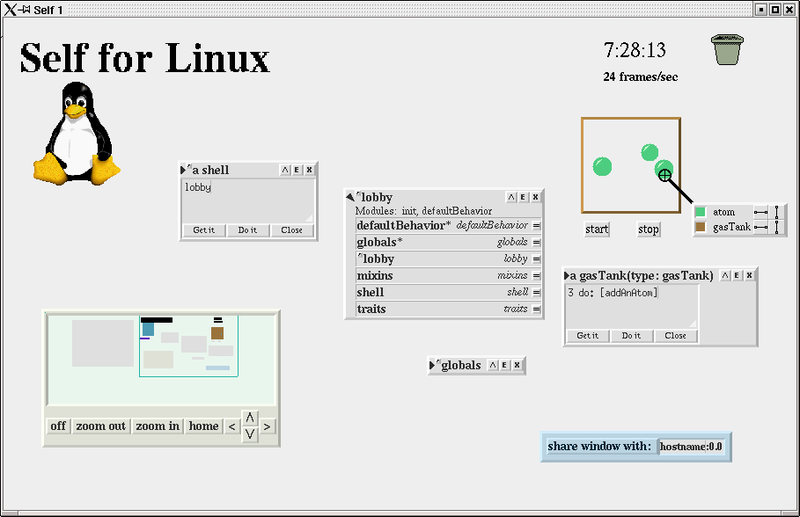 Harald Gliebe maintains the Windows and Linux ports of Self. These is also a project page on freshmeat . Stefan Matthias Aust maintains the Smalltalk port of Self.